There has been a longstanding ‘them’ and ‘us’ approach when it comes to Adult and Children’s social work teams, where Social Workers early in their careers, even as early as their training, pick a ‘side’ and stick to it. This sometimes happens without us ever really knowing or understanding the different teams and the work they do in different service areas. In Calderdale Council, the Practice Educator Consultants (PECs), Carly Johnson (Children Services) and Harriet Sykes (Adult Services) explain why and how they are attempting to ‘bridge the gap’ with student Social Workers on placement and how they are strengthening the links between Adult and Children’s services in the Council. “As a Child Protection Social Worker in Calderdale for 6 years, I felt pretty au fait with the different social work teams supporting children and their families, and I was familiar with other agencies from the private, voluntary and independent sector that I had worked alongside. In terms of Adult services, I must admit, I was fairly clueless, other than the occasional referral made to Adult Social Care; I had no real knowledge of the different teams and the services they offered. Having really benefited from ‘pod reflect’ sessions as a practicing Social Worker, this was something that I was keen to embed with my ‘pod’ of student Social Workers once I took on the role of Practice Educator Consultant. Harriet and I decided that we would share pod reflect sessions, and so, on a fortnightly basis we meet with our four students and alternate the cases discussed – on one session we would discuss a case from children’s and the following session, an adult’s case. The sessions are structured with a ‘check in’ prior to case discussion, which enables each participant to reflect on how they are feeling generally. This allows the students time and space to bond with each other over shared experiences of placement, as well as providing them with a safe space to discuss some of the challenges they were facing in their placements. Despite being from two very different teams (Child Protection and Palliative Care), it became apparent that some of the issues faced were similar, regardless of the service area. These included; challenges with multi-agency working, resistant service users, working with extended family members and thresholds for risk. Together, the students help each other to unpick a range of complex issues, and identify strategies for managing such situations. The discussions often led to healthy debates about ethical dilemmas such as euthanasia, helping the students to explore their value base. More recently, having taken on the role of Placement Tutor, I have spent more time visiting the different teams in Adult Social Care, and getting to know the practitioners. Again, this has been a real eye-opener in terms of learning about the level of support that is available – something which would have been invaluable to me in my previous role as a Children’s Social Worker” Carly Johnson, Practice Educator Consultant, Children and Young People’s Services. Adults often have children involved in their lives, and children often have adults involved in their lives, so why is there a gap between the two? “I qualified as a Social Worker in 2013 and since then all my practice experience has been in adult social work. My main area of work has been within palliative care, and this has grown into a huge passion of mine. Working in the area of adult palliative care has involved working with individuals who are aged 18 and over and who have an expected prognosis of 12 months or less. The nature of the team has meant I’ve worked with adults varying in age, the youngest being 22 and the oldest being 104. There’s something unique and special about working in palliative care. I recently read a comment on Twitter stating that working in palliative care – regardless of whether you’re from a health or social care background – shouldn’t be seen as a privilege, this stopped me and really made me think about what I do and why I do it. Being a social worker and working in palliative care is absolutely a privilege for me, and I tell myself that every day to ensure I never take that for granted. It’s a whole lot more than assessments, support plans and ‘care management’; and much more than just working with adults. I tell students this because I think it’s important they know. Adults often have children involved in their lives, and children often have adults involved in their lives, so why is there a gap between the two? When I started the role of Practice Educator Consultant in July 2018 I made it a goal to make the gap between children’s and adult’s social work smaller, and to develop students’ understanding of the opportunities across both services, and how much of it overlaps and interlinks. When Carly and I initially discussed joint student pod reflect sessions and proposed how we’d run them, we were anxious about whether they’d work and whether the students would see them as beneficial. Despite this we anticipated there’d be huge benefits in bringing our students together to discuss their cases and decided it was worth the risk. We’ve recently come to the end of our pilot with final placement students and are evaluating the impact. The rewards have been endless and the sessions have proven a huge success. The students in my team gained a better understanding of the work that Carly’s students were doing, and vice versa. Everyone’s values – including my own and Carly’s – have been challenged and we’ve had many healthy debates. The students asked each other critically reflective questions and proposed different hypotheses for each case presenter to either prove or disprove; this developed their understanding of the situation and subsequently helped them to better support the child, adult or family.” Harriet Sykes, Practice Educator Consultant, Adult Services. As part of the Yorkshire Urban and Rural Teaching Partnership, our aim in Calderdale is to offer students high quality practice placements that will provide them with experience, knowledge and skills, and ultimately ensure that they are prepared for practice. Wherever possible, students are offered a placement in each of the two service areas. Monthly student support groups are open to all placement students and have a clear focus for each session. Each session is targeted to enhance the learning of students regardless of whether they want to work in Children’s or Adult’s Services. We recognise that when working in children’s setting, we inevitably have to deal with adults, and vice versa, and therefore, promoting learning across both areas can only enhance the experience for service users. Moving forward, we want to continue to work together to bridge the gap between service areas, we are planning to ‘buddy up’ Practice Educators and students from different service areas and hopefully roll out the ‘pod reflects’ for all of our placement students. “I found the POD reflect sessions to be really useful. It was an opportunity for me to present one of my cases as a scenario to other students. This was especially useful as the students within my reflect sessions were from a mix of teams within Children and Families Social care, and also Adults Social Care. I have found on occasion; I could become quite ‘blinkered’ when looking at the case myself. Having specific frameworks and legislation to work within can serve to steer thought processes. When students from Adults, listened to my analysis of my case; they brought lots of ideas and fresh perspectives; Asked lots of questions that allowed me to see my case through a different lens. The same could be said where an Adults student brought a case to POD reflect. As a children’s Student Social Worker, there was a lot about Adult Social Care that I just wasn’t aware of. I asked questions, got involved and in turn developed a better understanding of what Adult Social Care is. It was also a really good opportunity to discuss some taboo ethical issues such as assisted suicide. The sessions were enjoyable and helpful in many ways and I feel I benefitted from the sessions”. Simon, final year student. “I have really enjoyed my experience whilst taking part in student support groups. Having experienced the support groups in my first year and in my final year I felt that both were totally different; I felt that this year’s groups did not just focus of children’s experience but rather there was a balance between Children and adults experience. I felt that this was really good as it allowed me to gain experience of adult’s social work which I may not have got otherwise. I believe that having this experience will help support me in my further practice to not just view a child in isolation but rather in the systems surrounding them. I also liked the different speakers that came in to talk to us as each brought different elements which supported my learning. I really enjoyed the speaker that spoke of emotional resilience and the mock interviews. Overall, I enjoyed this experience and feel the support groups support my learning and development”. Rochelle, final year student. “Even though I started attending the pod reflects slightly later than the other students I have found it invaluable in terms of my learning. I think that the sessions offer each student time to express their thoughts and feelings as to how their week/month is going. Using the picture cards was a great tool for this and allowed myself to use my imagination to find a card which would represent me at that time. Being able to listen to the experiences of other students was very interesting, I believe the interaction we all had was beneficial in terms of our development and learning. 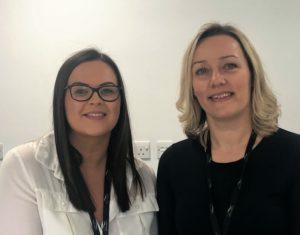 Harriet and Carly gave us the opportunity to reflect on our practice in a safe environment whilst building professional relationships with students from another team”. Abigail, final year student. “Throughout my placement, I have attended several pod reflect sessions that invite the Adult Service’s pod to join the Children Service’s pod to present alternate cases for further reflection and peer analysis. This has been in addition to one to one supervision with my Practice Educator. The sessions have been extremely helpful when I have presented my adult cases as I have had differing perspectives of students and social workers to guide and better inform my reflection and challenge my thinking in terms of new ideas and approaches to working with the individuals on my case load. The pod reflect sessions allow discussion on topics relating to cases and consideration into underpinning social work theory and legislation. As an adult social work student, I found discussions around cases from children’s social work very insightful and informative. I was able to apply my knowledge of theory learned at university as well as relate some of the experience from my previous placement to the case being presented. This helped to refresh my thinking for children’s social work and has developed my skills in adapting to new situations by considering new ideas from other student’s views and sharing experiences of work undertaken on other social work teams within the local authority. It was an opportunity for both teams to get to know each other and bridge the gap between the two services. Prior to discussing the cases, we all did an exercise to discuss our feelings by checking-in with each other. Our PECs also joined in with this to explore their positives and challenges and the exercise felt very inclusive in the way that our thoughts and feelings were being listened to and understood. This, I feel, promoted our wellbeing and encouraged our participation in the group, ensuring positivity, equality and establishing our place as part of the team.” Katie, final year student.